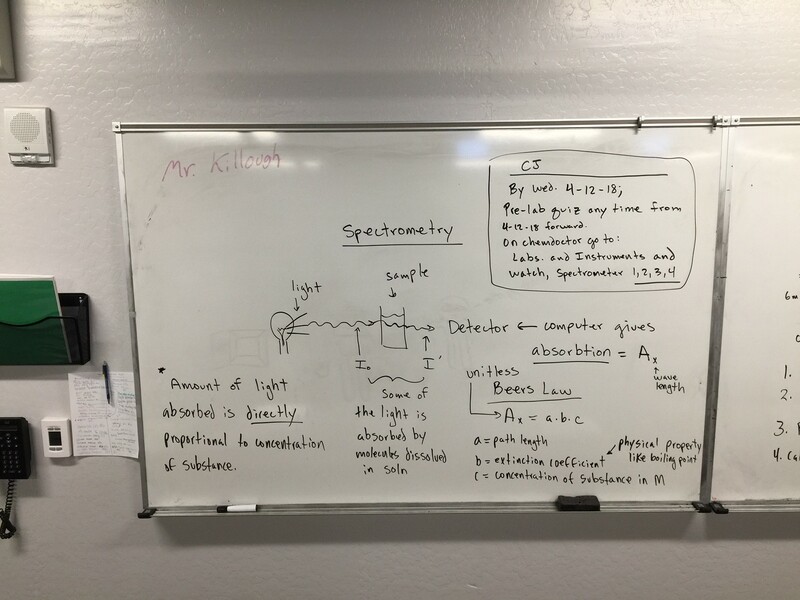 4-10-18: Upcoming lab videos: Go to Laboratory and Instruments: Watch Spectrometer 1, 2, 3, 4. 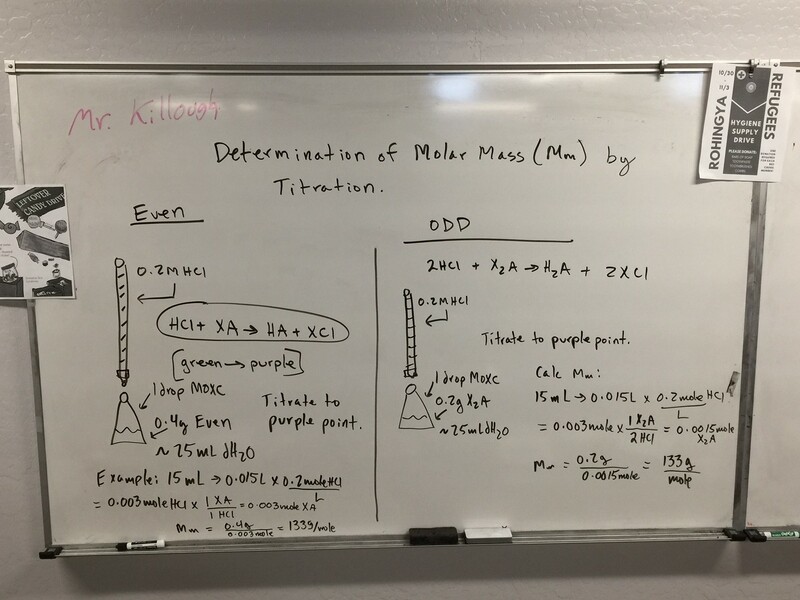 Week 2-12-18; Neutralization lab: Calculation mass Na metal by titration with HCl. Graded lab after one day of practice. See neutralization lab #2 video assigned below. Wed. and Thursday: Neutralization Lab. Monday, 1-29-18; Molarity and Neutralization Reactions. Watch the following videos before Wed., 1-31-18 to prepare for lab. Go to link: Laboratories and Instruments, videos: Molarity Unknown Base solution by titration, Neutralization Laboratory Calculations, Neutralization Laboratory #2. 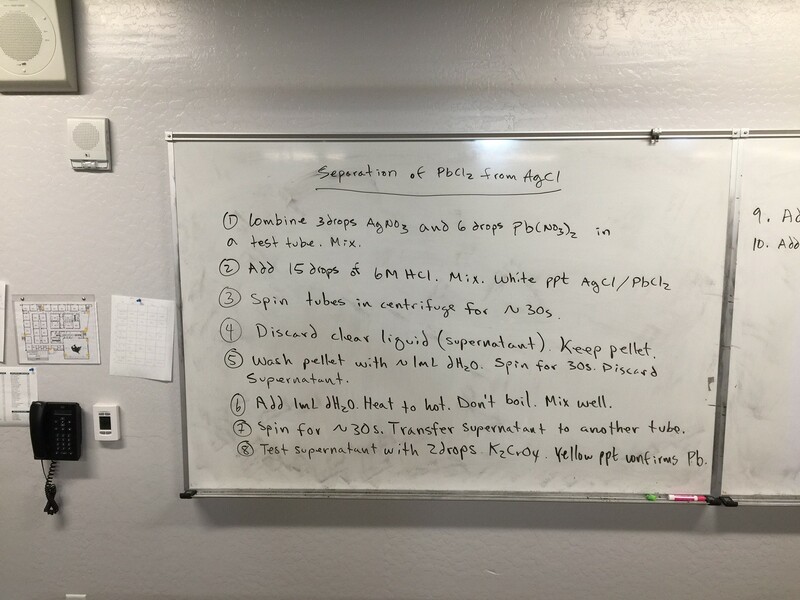 Wed., 1-24-18; % mass (see packet stoich I) then White Board. Monday, 1-22-18: After Precomp: Limiting Reactant: stoichiometry II 1-17-17; Watch videos:Go to Theoretical Yield and Limiting Reactant and watch: 1) Practice with limiting reactants #1 and 2) Practice with limiting reactants #2. Monday, 12-18-17; Graded Lab; Have a great break! Thur., Mock 5 Chem 7 Test 12-8-17 review test. Take the weekend off. Monday, 12-11-2017; Graded Lab. Review Theoretical Yield calculations for W and Thur. 2017 Pre-comp Study Guide: Review sig figs basics for common exam. No sig figs on native. 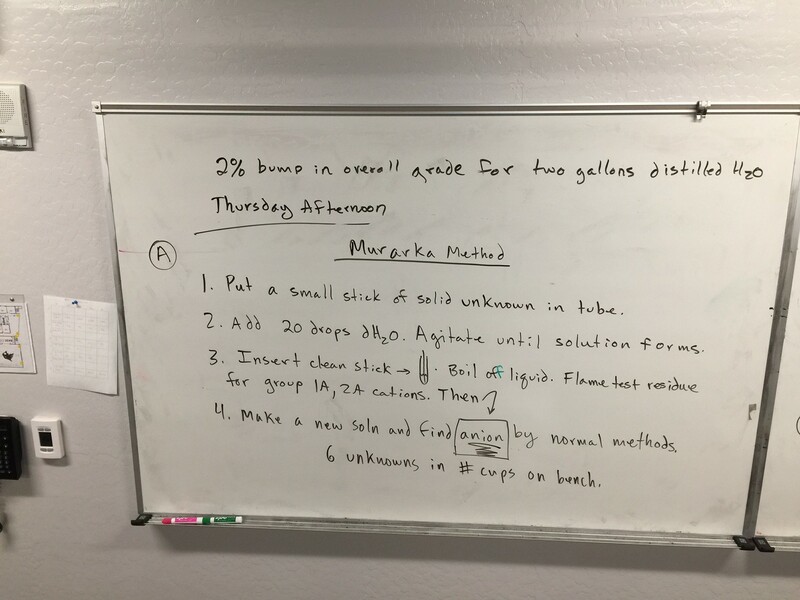 Monday; 12-4-17: White board-practice theoretical yield and %yield. Review video assignments found below on theoretical yield and % yield. 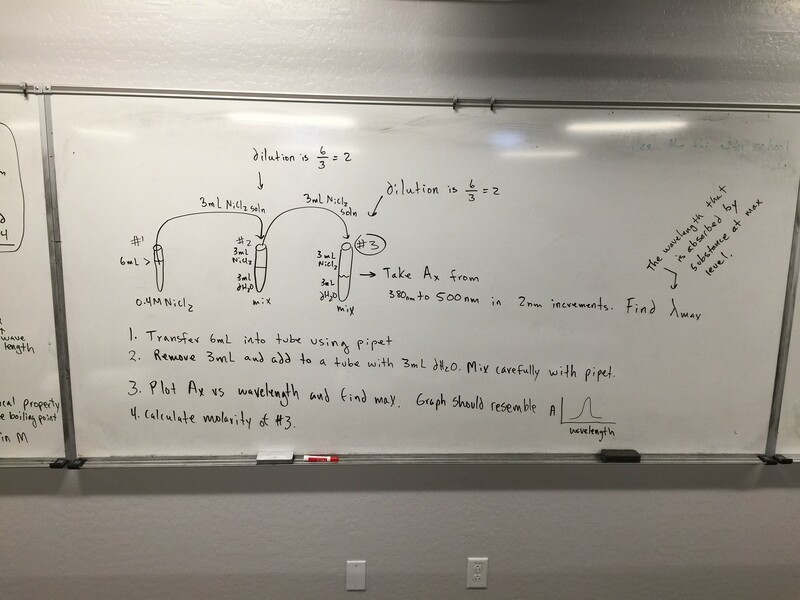 Wed, 11-29-17; White Board Theoretical yield. Monday, 11-20-17; Have a nice break! For Monday: See video assignments for 11-20-17 below. You will be white boarded on Monday over this content. Wednesday, 11-15-17; Quiz and graded lab on Thursday. Graded lab will be hard cation coupled with either chloride, iodide, nitrate. The quiz will be questions on the back of the graded lab: Lewis formulas and naming. For Monday, 11-20-17, watch and know the following videos: Go to Link, Theoretical Yield and Limiting Reactant. Watch Theoretical Yield #1 in Series and % Yield and Mass of Other Reactant. You will be white boarded over these concepts on Monday. 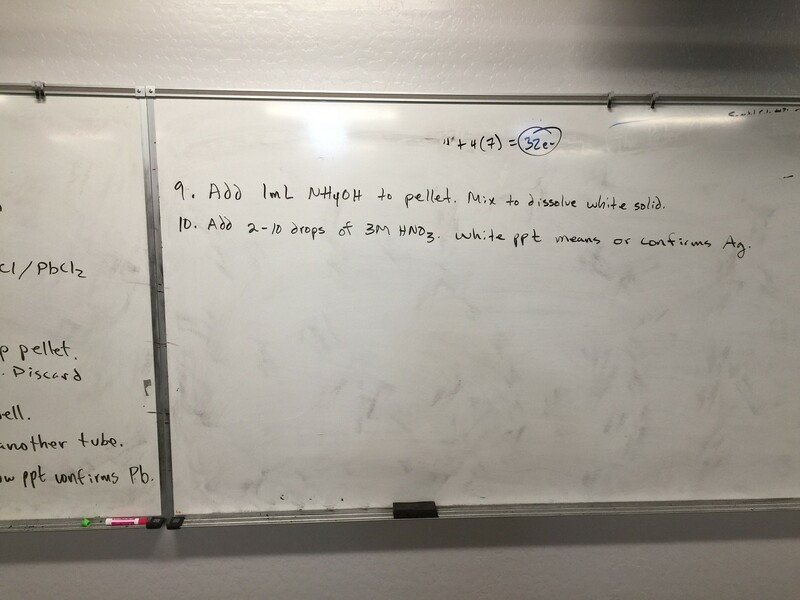 Thursday, 11-2-17: White Board Lewis Formulas. Weekend 11-4/5-17; Got to link “Mole and Chemical Formulas. Watch “The Mole” and “More on the Mole” for monday. Wednesday, 11-1-17: White Board Lewis Formulas. Monday, 10-30-17: Read and practice all structures: Lewis Formula Drawing 8-3-16; Quiz and Test Announcement: Quiz Thursday, 11-2-17 over lewis formulas and naming; Test Wed., 11-8-17 comprehensive including lewis formulas and naming. Wednesday, 10-25-17; Lab day-AgCl from PbCl2; Graded lab on Thursday. Murarka Method or Easy Cations, easy anions, nitrate. For Monday, 10-23-17: Review Net Ionic Precipitation Reactions and Ionization Reactions. Finish White Board. Wednesday, 10-4-17: Graded Lab on Thursday. Murarka Method, easy anions, cations, and nitrates. On the graded lab there will be 5 naming questions. Monday, 10-2-17: Laboratory and Naming. 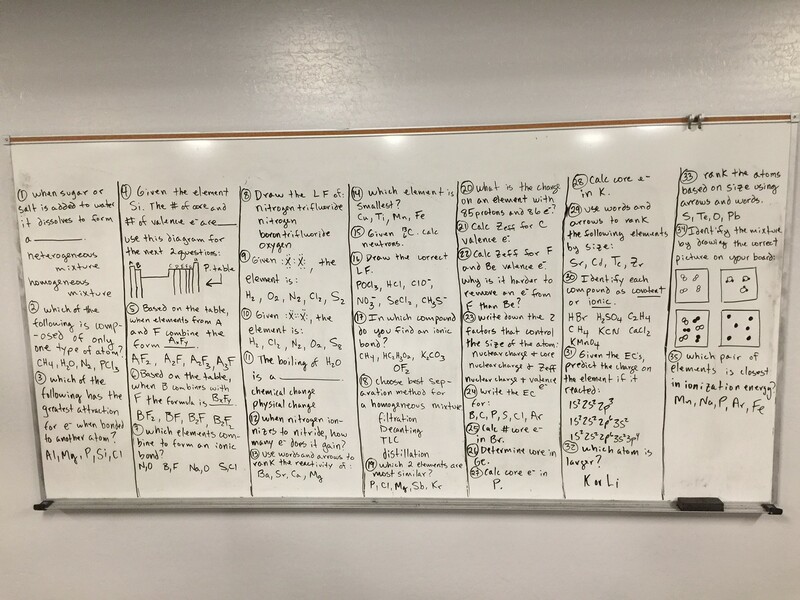 Murarka Method, easy anions, cations, and nitrates. On the graded lab there will be naming questions. 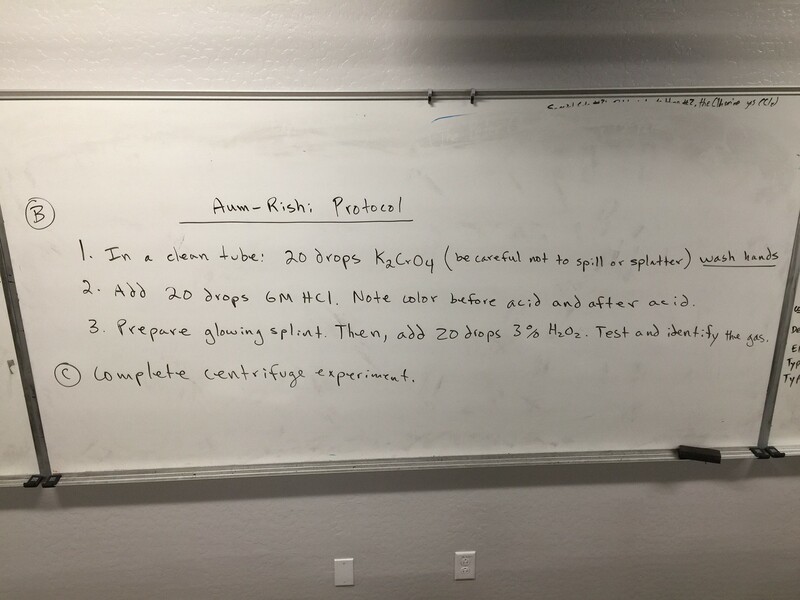 Thursday, 9-28-17; Lab Day: Master Murarka Methods for 1A and some 2A cations including anion; Nitrate Test. Practice unknowns. Graded Labs next week. Wednesday, 9-27-17: Naming Worksheet (Naming Worksheet with Answers) should be complete by next Monday. Today: Examples of Type I and II compounds, simple covalent compounds, then Lab. Murarka Method for identifying group 1A cations in an unknown. Monday; 9-25-17: Ionic Compounds; Type I and II; Ionization Equations. Thursday; 9-21-17: Graded Lab; Upcoming weekend: know your elemental ions; know polyanions and preview Type I and II naming. Thursday, 9-14-17: Grades for G1 were entered in CJ’s today. For next week begin Types of Compounds 9-11-17 Packet. Complete the section on Elemental Ions, familiarize yourselves with the name, formula, and charge of nitrate, carbonate, phosphate, sulfate, and hydroxide. Wed., 9-13-17; Test Day; Tomorrow, 9-14-17; laboratory. Weekend 8/2-8/4 2017–take the weekend off. I moved the test to Wednesday, 9-13-2017!!!!! Weekend, 8-26/27-17: Read and know Force of Attraction Packet. 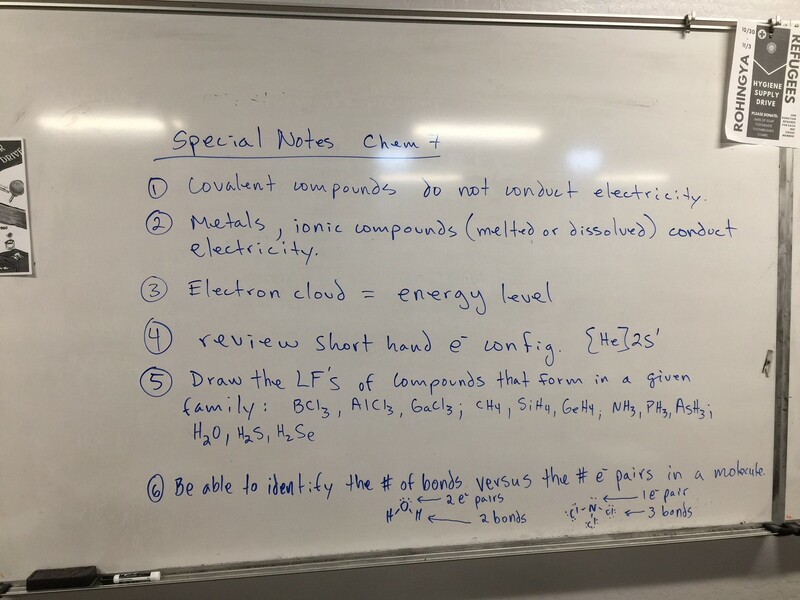 1) Make sure you can balance the four chemical equations on the white board. 2) Know the test for hydrogen and the test for oxygen and be able to perform the tests on demand successfully. 3) Answer all the questions on lab handout. 4) Watch the following videos by Thursday, Aug. 24. See Link: Atoms; watch video; See Link Electron Configuration, Orbital Diagrams, PES and watch Electron Configuration Basics 1. 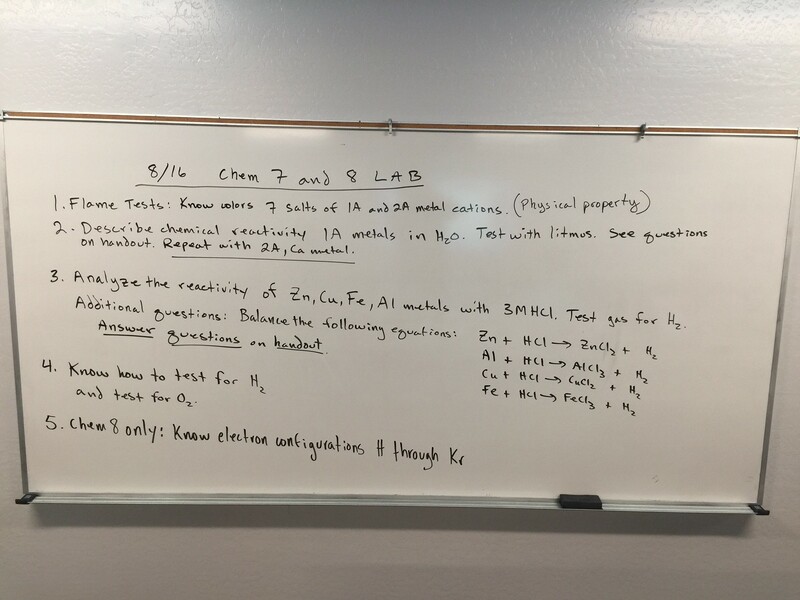 Today’s Lab 8/16–See lab handout linked below if you already lost your hard copy. Make sure to answer the questions posed in the document. Also, answer the questions that will be posted on the white board today. Quiz on Thursday, 8-10-17 over Lab safety and measurements. Multiple choice and actual identification of volumes off of graduated cylinders and burets. Thursday, 8-3-17: Review Lab Glassware Power point.